What is the Pay4Golf18 Weekly Series? We have designed a program for every level and age of golfer to enjoy a round of golf with friends while making new friends on the golf course. We will be scheduling over 25 events and outings this season that will count towards the Championship Standings. 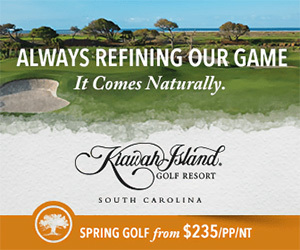 Along with some of the best golf courses in the Charlotte area, we will be scheduling some new courses and new playing formats to the schedule of events. We will only count your Top 20 Point Totals towards your overall standing which gives everyone a chance to do well for the championship event. With shotgun starts or staggered tee times and favorable course set-ups, every participant can enjoy a round golf at Charlotte area golf courses without the hassle of trying to find people to play. You can participate in the point standings for a chance to earn an invitation to the CHAMPIONSHIP CUP, or just have fun playing golf with new friends. You will earn points based on your participation in weekly events which count towards your standing in the overall season series. 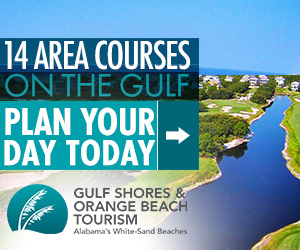 We provide opportunities to earn bonus points when you play in special affiliated golf tournaments when applicable. Weekly event prizes provided by GOLFBALLS.com as well as optional "skins" and "team" games at all events make our weekly series a better opportunity to play golf. What is the Pay4Golf18 Championship Cup? The Championship Cup is a 54 hole point style event created for the top point earners of the Weekly Series. Eligibility for this event is determined by the Weekly Series overall point standings and played at the end of the season in late October. Each Pay4Golf18 participant must play in a minimum of 10 events to be eligible for the official overall standings. The top 10 golfers in the weekly series overall points standings will earn a spot to play in the CHAMPIONSHIP CUP. If a player has earned a spot, but cannot attend, that spot will be offered to the next person in the standings until 10 players have committed. How do I register for an event? You may click on the Register button listed next to the event on the schedule or from the event description page. You will be required to provide contact phone number at registration in case last minute updates need to be communicated. Entry fee includes golf and cart. We provide separate rates for regular players and senior players. In some instances, the entry fee may be the same. We strive to provide a quality experience by providing the best rate to all our players to give you more opportunities to play more golf. If you are a Senior Player, the first time you register, you will be prompted to pay the regular rate for that event. Once the event coordinator has confirmed your senior status at that event, a refund will be issued for the difference in the two rates for that event. After confirmation, Senior Players will only be presented with the entry fee for Senior Players. In some instances, the entry fee may be the same as regular players. What are the event day rules of play? You may view or print a copy of the RULES OF PLAY. By registering for an event, you acknowledge having read these rules of play. Event Coordinator can provide explanation of rules of play upon request. From time to time, Event Coordinator will update local course rules as needed. What tee box do I play for a Pay4Golf18 event? Location of tee markers and course layout are at the discretion of the golf course operator. We do not request any changes to the regular course set-up. Regular men's tee for our events will be one tee box up from back tees at the golf course (6,100 to 6,500 yards). Senior men's tee for participants age 60+ will be two tee boxes up from back tees at the golf course (5,700 to 6,200). Super-Senior men's tee for participants age 70+ (except for participants with 6 or under Score Index which play from Senior tees) will be three tee boxes up from back tees at the golf course (5,200 to 5,700). Event coordinator reserves the right to adjust tee box depending on local golf course rules. What is the maximum score allowed per hole? In order to have fun and keep pace of play steady, we have a maximum allowable score of triple bogey per hole. If you have reached maximum allowable score, do not finish a hole for any reason or fail to write correct amount of strokes on the scorecard when completing a hole, you will automatically be given a triple bogey for the hole. No exceptions. What is a Net Score? Your net score is your gross score the day of the event minus the course adjustment given to you based on your Score Index from previous Pay4Golf18 rounds played. We do not use other rounds played. All scores and course adjustments will be rounded to the nearest whole number. How do you determine Course Adjustment? If you have played in previous Pay4Golf18 events, you already have a Pay4Golf18 Score Index. If you do not have a Score Index, your first score posted in a Pay4Golf18 event will be used to start your Score Index number. After playing in a Pay4Golf18 event, your score will be entered into our Score Tracker, and all subsequent Pay4Golf18 scores will be automatically entered into the Score Tracker for calculating index. We do not use other rounds played. All adjustments are rounded to the nearest whole number. Pay4Golf18 Score Index will update each week of the Season Series depending on your participation in an event. How does point standings work? Pay4Golf18 has designed a system for every golfer to have the opportunity to win prizes. 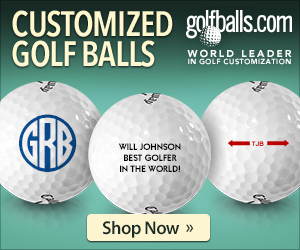 We award points to every player that plays in a Pay4Golf18 event sponsored by Golfballs.com. Pay4Golf18 events begin with our Weekly Series (Charlotte, NC only) March through September. At the end of the season, prizes are awarded based on your point standings. How do I earn points? You earn points by playing in Pay4Golf18 events. Points are awarded based on standings with other players in the Pay4Golf18 event through your net score. The number of events you play can affect the total amount of points you can earn. Depending on the number of events that you play, only your Top 20 Point Totals from current year series events will be used to calculate your overall standing. Bonus Points can be earned by playing in special designated Pay4Golf18 events. Special Events will be listed on the season schedule with number of Bonus Pointsthat can be earned. When you register and play for a special event, you will be awarded Bonus Points for your participation in the special event. You can play in as many special events as you want and all bonus points will be used to calculate your overall standing. Certain restrictions may apply. Season Prize Breakdown. For the Weekly Series overall event prizes (Charlotte, NC only), each participant must play in a minimum of 10 events to be eligible for the official overall standings. All prizes are provided by GOLFBALLS.com for the Season Series overall standings. How many points are awarded in each Pay4Golf18 event? The scale is based on the number of participants. The number will decrease to the last player in the field who will always receive 11 points. Bonus points can be earned for finishing in the top 10 in the Pay4Golf18 event. LIABILITY RELEASE. Pay4golf.com provides its members access to Pay4Golf18 events. 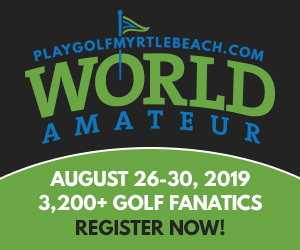 By registering for any Pay4Golf18 event, you agree to hold harmless, Pay4golf.com and any of its sponsors or affiliates from any claims or damages in connection with the Pay4Golf18 event. There are certain dangers involved in participating in any event. Those dangers are, including but not limited to, getting hit by a golf club or ball, being struck by lightning, falling on a hill or slope, suffering from heat exhaustion or any other type of medical emergency. Pay4golf.com is not responsible for any items lost or damaged during an event. Pay4Golf18 participants are responsible for any damage caused to the golf course and/or property of the golf course by their actions or participation in a Pay4Golf18 event. CANCELLATION POLICY. Pay4Golf18 events will be played, regardless of weather, unless the golf course is closed. If an event is canceled, Pay4Golf18 will make an attempt to re-schedule the event, or if the event cannot be re-scheduled, the entry fee will be applied towards another Pay4Golf18 event on the schedule. If you register for an event and cannot participate, a 48 hour notice is required, and your entry fee will be applied towards another Pay4Golf18 event on the schedule. NO REFUNDS or RAINCHECKS.